Sometimes, the most useful scientific tool is a unique perspective. Leonid Kruglyak is a remarkable example of that fact. He originally trained as a physicist, and his quantitative background was foundational to his successful career in genetics and genomics. Kruglyak’s work focuses on the transmission of complex traits and the genetic basis of phenotypic variation. He has developed ways to study these questions in yeast and worms – model organisms not often chosen for this type of study. He has been an HHMI investigator since 2008 and was recently named Chair of the Department of Human Genetics at UCLA. 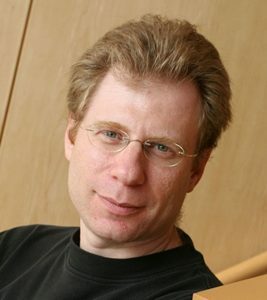 Leonid Kruglyak is the recipient of the 2016 Edward Novitski Prize, which is awarded by the GSA for an “extraordinary level of creativity and intellectual ingenuity in the solution of significant problems in genetics research.” As such, the July issue of GENETICS features an in-depth interview with Kruglyak where he discusses genomic technologies, the importance of understanding natural variation in model organisms, and his thoughts on preprints.